The University of Hertfordshire: Is the end of time in sight for Doctor Who? When this year’s Doctor Who Christmas Special, The Return of Doctor Mysterio, airs on BBC One on December 25, fans of a certain age will be watching with some trepidation. This is not just because their hero, a stranger to latex and six-packs, will team up with a Superman-style character called The Ghost. It is also because there are whispers of crisis around the 53-year-old series. In a recent visit to a well-known toy store, this particular middle-aged child was struck by the absence from the shelves of any Doctor Who merchandise. No action figures, no lunch boxes, no sonic screwdrivers. Star Wars was everywhere. Like the recent announcement that the Cardiff-based Doctor Who Experience will close next year, this seemed ominous. It felt like 1985 all over again. In 1985, the original Doctor Who Exhibition closed its doors on Blackpool’s Golden Mile. This was also the year when, following the first season of Colin Baker’s Doctor, the show was put “on hold” for 18 months. When it returned with the gloomily-titled 14-part portmanteau tale The Trial of a Time Lord, the programme’s days were numbered. Within three years, despite the efforts of a new Doctor (Sylvester McCoy) and an ambitious team of fresh writers, it would fade from production again. No announcement, no ceremony: it simply disappeared. Apart from the curate’s egg of the 1996 TV movie starring Paul McGann, it remained off-screen for 16 years. Christmas specials aside, Doctor Who has been on hold again. When it returns in spring 2017, it will have been 16 months since the last season. There have been downbeat rumblings during the hiatus, most recently when it was claimed that the BBC has instructed Broadchurch creator Chris Chibnall to be the new broom that sweeps clean the decks when he takes over from Steven Moffat as showrunner next year. The talk is of “a brand new show”, with Peter Capaldi destined for rapid regeneration and new companion Bill (Pearl Mackie) being allowed only the briefest of journeys on board the TARDIS. The BBC is said to be frustrated by the decline in ratings over recent seasons and a concurrent collapse in merchandise sales. If reports are accurate, Chibnall is tasked with putting a more youthful, “dashing” actor into the role alongside a young female companion. The ideal is a version of the David Tennant-Billie Piper coupling of 2005-6, which would seem to preclude the oft-discussed possibilities of a black, Asian and/or female Doctor. There are also suggestions that Chibnall is being directed to simplify the storytelling in the series, moving away from the elaborate narrative convolutions that some have attributed to Moffat. 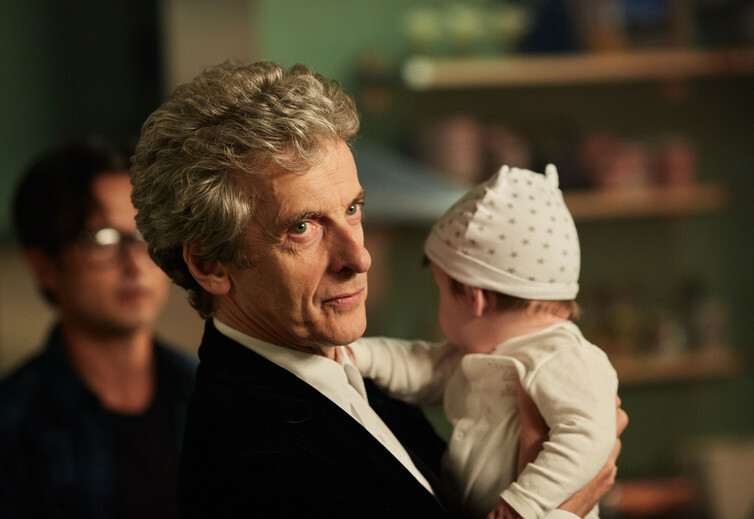 The implications are that Capaldi, undoubtedly a fine actor, is too old for a modern Who audience, and that Moffat is too baroque a tale-teller for tea-time family viewing. If nothing else, this points to a perceived staleness in the franchise. But the state of decay has undoubtedly been exaggerated. Under Russell T Davies, Doctor Who reinvented the cross-generational television audience when it returned in 2005 and, by any standard of 21st century broadcasting, it continues to gain impressive ratings on a global scale. 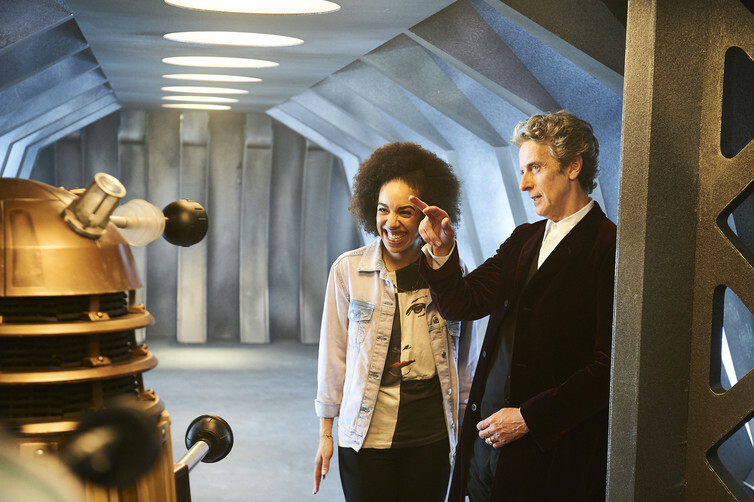 Moffat has noted that overnight figures for television audiences are misleading in the digital age, with consolidated data (after catch-up, repeats, and so on) telling a more positive tale. He has also, with Capaldi, lamented the BBC’s scheduling of Doctor Who to a later, family-unfriendly, autumnal slot during recent seasons, nudged to 8.25pm to make room for Strictly Come Dancing. It is undeniable that Doctor Who has benefited from change. Change is at the heart of its story, embodied (literally) in the character of its hero. But it is equally arguable that the BBC has never quite learned to love its most unlikely success story, that it has always seemed slightly embarrassed by the popularity of this eccentric myth concocted by committee in 1963. Any of the corporation’s executives who have forgotten this will perhaps also have forgotten that doubts about the age of the leading actor are a recurrent theme (Peter Davison was “too young”, as was Matt Smith). They might also have forgotten that one of the most popular companions remains Donna Noble, played by Catherine Tate, who was approaching 40 when she first took the role, and that another, Sarah Jane Smith, won over a whole new generation of children when the actress who portrayed her, the late Elisabeth Sladen, was already in her 60s. Doctor Who audiences are not as shallow as some people seem to believe. Despite much criticism, the Moffat era has featured some of the finest writing in the show’s long history (not least the 50th Anniversary Special, The Day of the Doctor) and Capaldi’s Doctor has appeared in some remarkable and edgy stories (Heaven Sent, for instance). Both Moffat and Capaldi have a lot to deliver before the new regime takes over, and the actor could do so much more in the role if given the opportunity. Meanwhile, the continuing vitality of the extended Doctor Who narrative has been demonstrated by the critical and popular success of Class, the Patrick Ness-created spin-off drama for teens that premiered recently on BBC3. It is a peculiar staleness that produces work like this. Anyone hoping for a revolution in Doctor Who will not be disappointed. The series has been in a condition of permanent revolution since the moment its first producer, Verity Lambert, chose to ignore the strictures of her boss Sydney Newman against “bug-eyed monsters” and allowed the Daleks to trundle into view. As John Tulloch and Manuel Alvarado noted over 30 years ago, the series discovered “television’s recipe for success” very early: “something different but something the same”. Chibnall, like Moffat, like Davies, like Capaldi, Tennant, and many others involved in the triumphant reboot, is a lifelong Doctor Who fan. His arrival should remind us of the full version of the old adage: a new broom sweeps clean but an old broom knows all the corners. There are lives in the old Doctor yet.